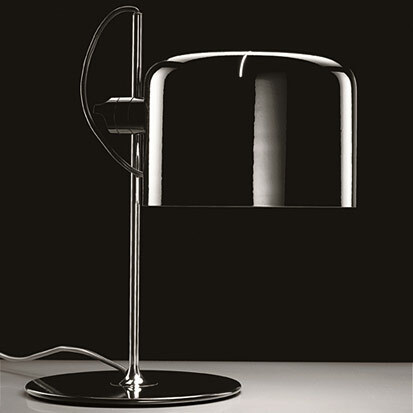 Oluce will commemorate three important birthdays this year, anniversaries of some of its most iconic pieces, projects by great names in design history, confirming once again their classic and timeless characteristics. 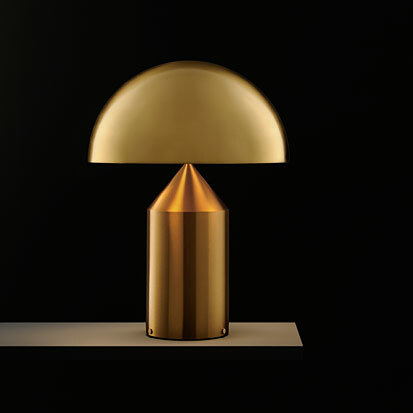 In 2017, Atollo will be celebrating its 40 years, Coupé 50 and for Lyndon‘s 40th anniversary, the company will present a historical reproduction of the Lyndon suspension lamp, also displayed on the occasion in a precious gold bespoke finishing. 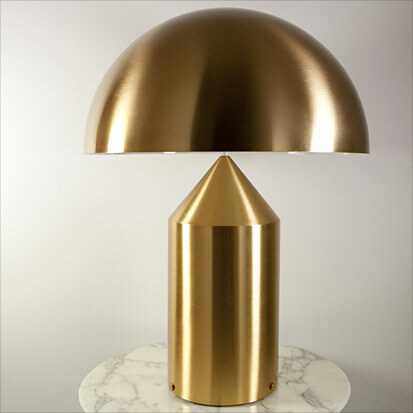 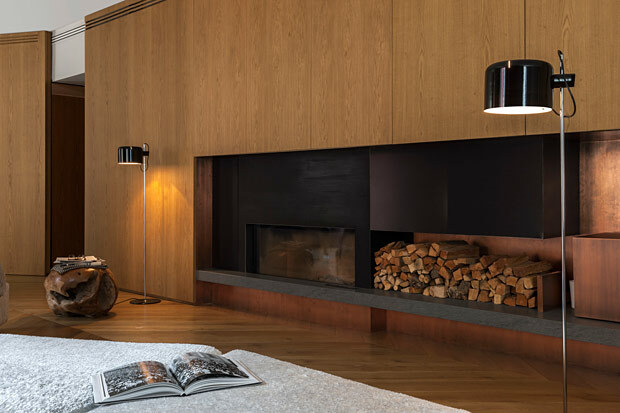 Conceived by Vico Magistretti in 1977, Atollo has become the archetypal table lamp over the years, winning the Compasso d’Oro award in 1979, and completely revolutionizing our conceptions of the classic table lamp with shade. 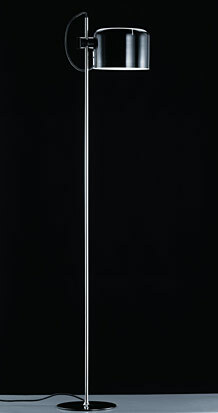 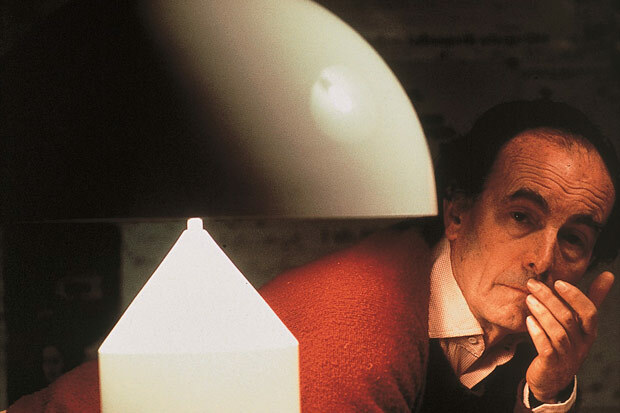 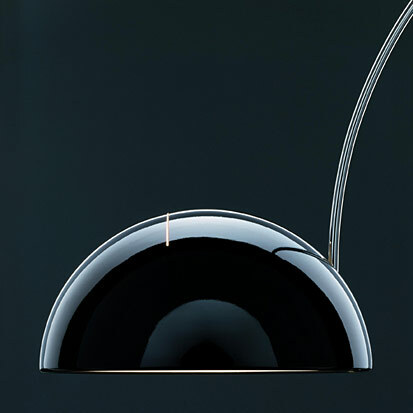 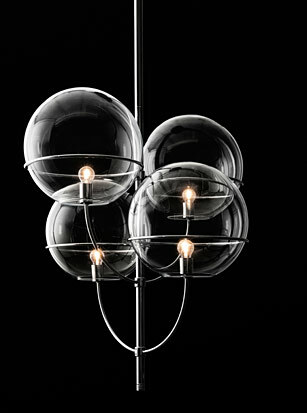 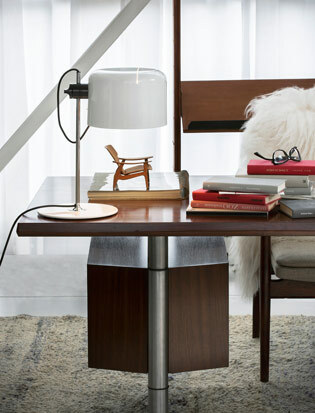 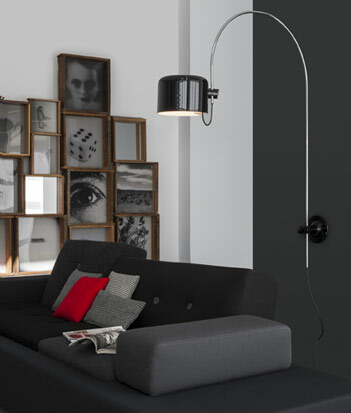 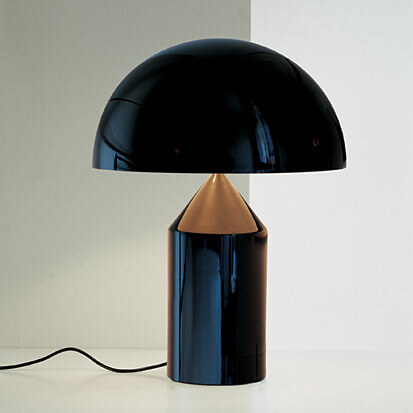 Coupé originated in 1967 from the creative intuition of Joe Colombo, who initially designed it as a variation of the Spider lamp, with the same base and stem. 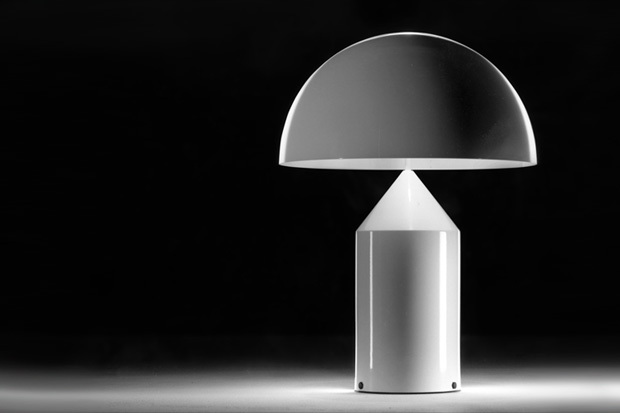 Starting with these graphic and essential feature – the base, the stem and the adjustable cover serving as a shade – the designer created one of the best-known of Oluce’s families. 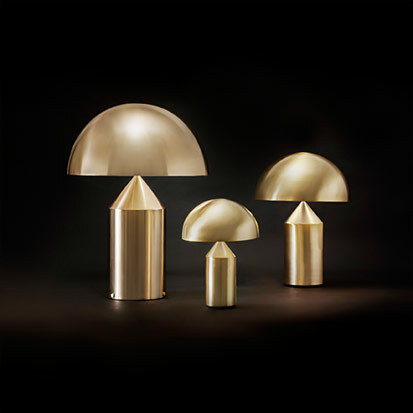 Lyndon is a design by Vico Magistretti created in 1977 and developed over the years into a vast collection including multiple versions for indoors and outdoors. 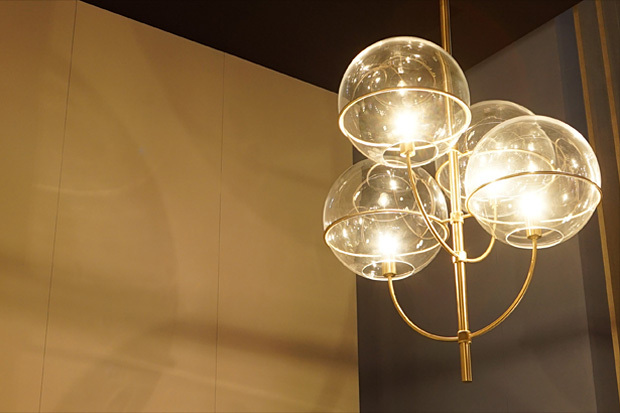 In the suspension version, Lyndon draws on the stylistic features of the collection, creating a light dedicated to the finest and most elegant spaces.